Tibet's 2018 GDP reached 147.76 billion yuan (22 billion U.S. dollars), about 191 times more than the 1959 figure calculated at comparable prices, said a white paper released Wednesday by China's State Council Information Office. 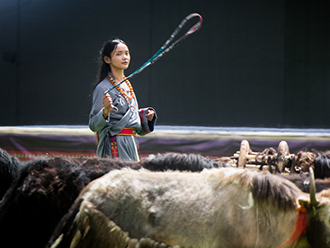 Through 60 years of hard work, the people in Tibet have seen agriculture and animal husbandry become increasingly modernized, said the white paper, titled "Democratic Reform in Tibet -- Sixty Years On." The added value of agriculture, forestry, animal husbandry, fisheries and related service industries rose from 128 million yuan in 1959 to 13.41 billion yuan in 2018. Grain yield increased from 182,900 tonnes in 1959 to more than 1 million tonnes in 2018, it said. Tibet has accomplished a fundamental change and optimization in economic structure, the white paper said, noting that the share of added value from primary industry in GDP dropped from 73.6 percent in 1959 to 8.8 percent in 2018, while the share of secondary industry rose to 42.5 percent and the share of tertiary industry increased to 48.7 percent. 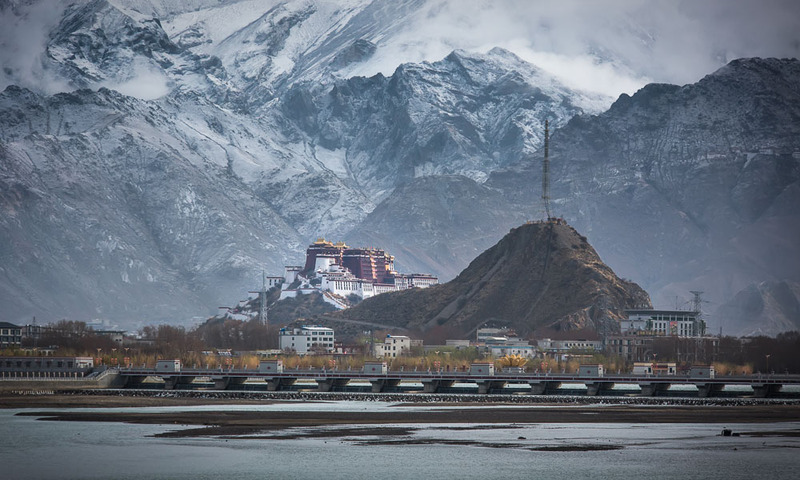 The tertiary industry in Tibet is thriving and tourism is developing rapidly, the white paper said, noting that in 2018, Tibet received 33.69 million tourist visits, with a total tourism revenue of 49 billion yuan. More than 100,000 farmers and herdsmen have earned more through tourism and Tibet has become an international tourist destination, it said. Infrastructure has been improved in Tibet, as a comprehensive transportation network composed of highways, railways and air routes has been formed, it added.